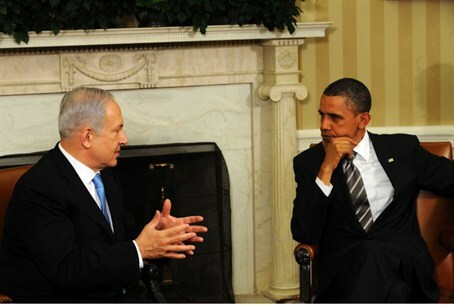 U.S. President Barack Obama's three-day visit to Israel and the PA will begin on March 20, Netanyahu's office says. U.S. President Barack Obama's three-day visit to Israel and the Palestinian Authority (PA) will begin on March 20, Israel said on Sunday, in the first official announcement of the visit, AFP reported. A statement from Prime Minister Binyamin Netanyahu's office said Obama was due to arrive Wednesday, March 20, at Ben Gurion Airport and then head to Jerusalem for talks with President Shimon Peres and a dinner meeting with Netanyahu. The White House has not announced specific dates for the Obama visit, his first to the region as president. Israeli media reports and an official with the PA have said that the visit will run from March 20-22 and take in talks with both Israeli and PA Arab leaders in Jerusalem and Ramallah. According to the official Israeli program released by Netanyahu's office, Obama is due to visit on Thursday, March 21, the Israel Museum in Jerusalem and then travel to Ramallah to meet PA officials. Later that day he is scheduled to deliver a speech at the International Convention Center in Jerusalem and in the evening attend a dinner reception at Peres’s official residence. On Friday, the American president is to attend a ceremony at Mount Herzl, where he will lay a wreath on the grave of assassinated former prime minister Yitzchak Rabin before heading to the Yad Vashem Holocaust institute, according to the itinerary released. Obama will also be taken to see a U.S.-funded Iron Dome missile defense battery on Wednesday or Friday, the statement said, before taking off for the next leg of his trip in Jordan. The president has said there would be no big Middle East peace initiative on the table during the trip, which he said would be "an opportunity to consult with the Israeli government about a broad range of issues -- including Iran, Syria, the situation in the region, and the peace process," a U.S. official said last week. Netanyahu has said his talks with Obama would focus on three issues: Iran's nuclear program, the conflict in Syria and the diplomatic process with the PA. The White House said on Friday that Obama will travel to Israel this month even if Netanyahu has not completed the job of forming his new coalition.